On Thursday 25th January, the CEN had a visit from Dr Silvia Dalvit, founder and director of the company Babybrains. Silvia, a cognitive neuroscientist and Birkbeck alumna, explained to us how she has created an app for new parents. The app gives parents weekly age-appropriate science-based activities, each only a few minutes long, to try out with their baby. These activities target different areas of babies’ language, perceptual, social and motor development. Dr. Dalvit said, “Importantly, these activities are designed to be fun and to empower parents in being attuned to their baby’s development.” The app aims to communicate research findings on the cognitive neuroscience of development to the most important people in the baby’s life! Annie Brookman-Byrne, a PhD student in the Centre for Educational Neuroscience, and Lia Commissar from the Wellcome Trust, have jointly published an article in the journal Mind Brain and Education. The paper summarises the International Mind, Brain, and Education Society pre-conference which was held in Toronto in 2016. The pre-conference was designed to share new research findings and host discussions about how best to move the field of educational neuroscience forward. The article captures discussions from the day and describes new Wellcome Trust funded work in response to the challenges. The article is freely available via this link. What have we learned from doing educational neuroscience research in the classroom? How can we close the gap between educational neuroscience research and classroom practice? Where do we want educational neuroscience to be in two years, and what do we need to make that happen? Genetics and education – What’s the message? Last week, The Times (@nicolawoolcock) reported a complaint by journalist Toby Young (@toadmeister) that he had been censored for writing that intelligence was largely genetic. What point was Toby Young trying to make by referring to genetic evidence and why was it censored? According to the Times, Young’s blog argued that IQ is a strong predictor of how children perform in school exams; that schools are largely unsuccessful in raising the IQs of pupils; and that ‘intelligence is a highly heritable characteristic, which is to say that more than half of the variance in IQ at a population level is due to genetic differences’. The context of Young’s article was how he had moderated his early view about the transformative impact that good schools can have, based in part on learning about the greater contribution of genetics to variation in IQ. There was a negative response to the blog on social media, including that it ‘had deeply nasty connotations’. Teach First (@TeachFirst ), a teacher training organisation, took down the blog, saying the article ‘was against what we believe in’. Why is genetic data controversial in education? Genetics is controversial in education because is it sometimes used to support arguments of determinism. In the deterministic narrative, schools have limited influence on children’s academic achievement in the face of more powerful forces, be it genetic variation or socio-economic status. Genetics additionally has negative historical associations with discrimination on the basis of race. Was the scientific data interpreted correctly? A recent meta-analysis of 42 datasets involving over 600,000 participants found consistent evidence for beneficial effects of education on cognitive abilities. The effect of schooling was a gain of approximately 1 to 5 IQ points for each additional year of education. Schooling therefore does have a small but measurable effect on intelligence. It is likely smaller than the effect of genetics and of socioeconomic status on IQ. Importantly, however, genetic effects are not deterministic. If the environment is changed, the genetic effect may disappear. For example, despite the high ‘heritability’ of intelligence often reported in scientific studies, this genetic effect is reduced or eliminated under conditions of socioeconomic privation. When a poor educational environment holds children back, genetics effects can reduce: a study examining reading found reduced genetic effects on reading skills when teaching was poor. Most of the evidence on genetic effects (‘intelligence is 50% inherited’ and so forth) concerns the differences between people. It does not focus on the absolute level that everyone is performing at (that is, the way people are similar). It is possible for the environment to improve everyone’s intelligence, even while the differences between them are for mainly genetic reasons. Therefore, genetic studies reporting heritability only give part of the picture. This is relevant because national educational policy is often about changing the conditions for the whole population, (hopefully) raising the education level for all. To take a hypothetical example, the government might decree that schools spend double the amount of time teaching maths. The result would be that all children in the country would get better at maths (though perhaps worse at the topics they have less time for). Those at the top of the maths class might still be near the top, those at the bottom near bottom, perhaps for genetic reasons. The heritability of maths skills could stay the same, even though everyone had improved. Studies focusing on genetic contributions to education are therefore mainly important for the question of gaps between children, and policy ambitions to narrow gaps. The debate considers the genetic and environmental causes of gaps. These gaps might not primarily stem from variation in school quality, which is the focus of Young’s blog. Indeed, when schools are very good, and in a society with low inequality, any remaining gaps would come from genetic differences (or ‘talent’). If we were to achieve the goal of perfect schools and equal societies, this would eliminate at least half the gaps in educational achievement between children. In that sense, data showing increasing heritability of educational achievement would be an index of progress on those goals (see Asbury and Plomin’s recent book ‘G is for Genes’ for more on this). However, we should remember that education isn’t about populations, it is about individual children. None of the findings on genetics contradicts the fact that any individual can get better at any skill by working harder at it, irrespective of their genetic make up. How can genetics benefit education? Right now, the main message from genetics is that not all differences between children in educational outcomes are environmental. In the future, based on progress in ‘precision’ medicine, the ultimate promise held out by the application of genetics to education is that we will be able to identify the optimal environments to maximise the genetic potential of each child – to realise their talent. This is a long way off. It requires identifying the biological basis of learning, no mean feat. And there are broader ethical issues to consider about genotyping one’s child and handing over the data to their school. But the promise shows the direction of travel: far from arguing for determinism, genetics is about identifying the best environment for individuals to thrive in. Before then, as a society, we need to make progress on deciding how we feel about differences between children (in contrast to how well all children are performing). 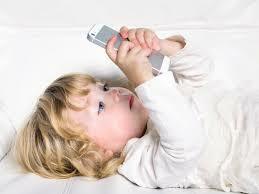 It may be that maximising every child’s (genetic) potential does not narrow the gaps between them. When education empowers every child to reach for the stars, we may have to accept that it is different stars the children are aiming at. 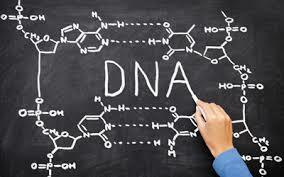 Here is a recent article giving an overview of the use of genetics in education. Here is a video that gives an introduction to the field: Professor Michael Thomas “Genetics and Education” from Learnus – Understanding Learning on Vimeo. 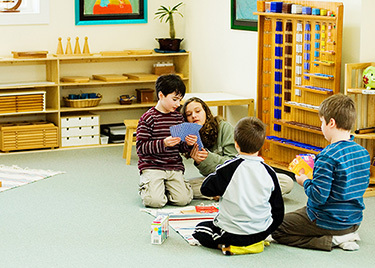 The Montessori educational method – is it effective? In the October issue of Tatler magazine, CEN PhD student Cathy Rogers discusses research on how widespread use of touchscreen tablets may be influencing toddlers’ cognitive and brain development. She describes Birkbeck’s TABLET (Toddler Attentional Behaviours and Learning with Touchscreens) project, one of the few longitudinal studies designed to look at the effect of touchscreens on very young children. 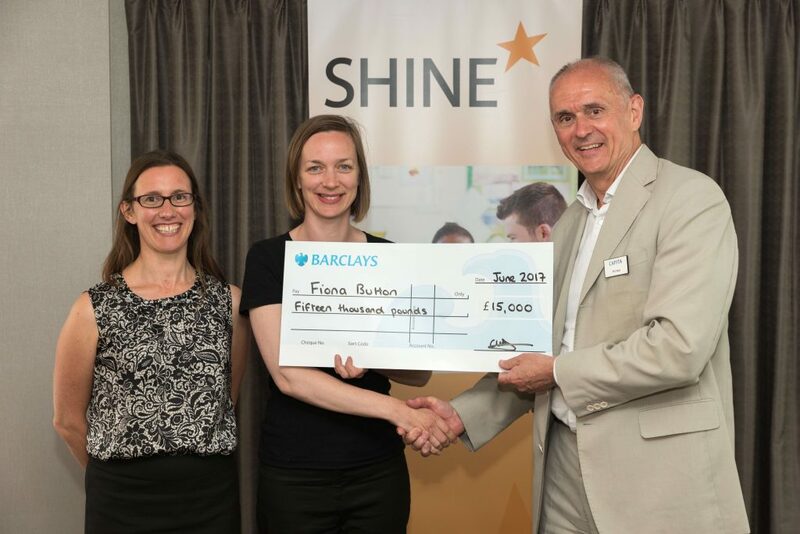 Fiona Button, who is soon to complete the MSc in Educational Neuroscience, has won a grant from the education charity SHINE to develop Button Spelling, an app to teach the spelling of difficult words using visual mnemonics. An initial trial, which formed Fiona’s dissertation project, showed that using these mnemonics significantly improved children’s retention of tricky spellings. The Let Teachers SHINE grant will enable Fiona to develop a prototype version of the app and to test it in participating schools. Fiona will be presenting her research at a CEN seminar at 4-5pm on 23rd November. Check http://www.educationalneuroscience.org.uk/seminars/ from October for details. 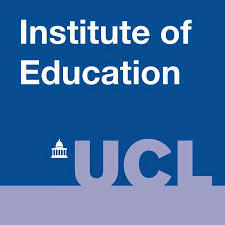 UCL Institute of Education is establishing a new investment in a Centre for Education Improvement Science, and is currently recruiting a Director for this flagship initiative. See here for more information. The Wellcome Trust hosted the CEN’s eagerly anticipated workshop last Friday 17th March, which was organised by a group of PhD students from the CEN. Nearly 100 delegates attended, with a broad spread of academics, students, teachers, consultants and individuals from charities and organisations. The morning’s sessions focused on research linking different aspects of brain and cognitive functioning to children’s academic performance and skills. Professor Gaia Scerif’s excellent keynote talk opened the workshop. She presented findings on various aspects of attention control and preschool maths from an integrated cognitive, neuroscientific and educational perspective. Three talks followed focusing on children’s educational outcomes. 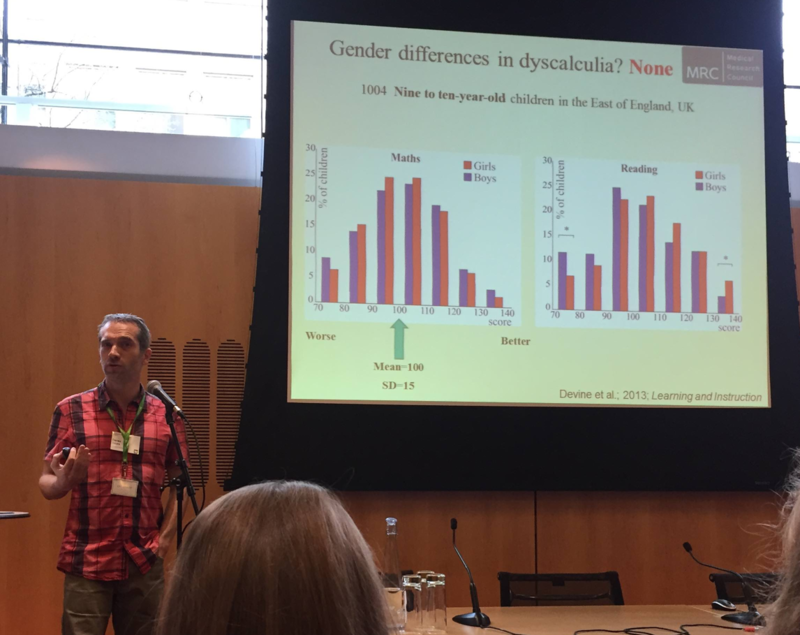 Dr Denes Szucs, University of Cambridge (pictured above), firstly discussed the cognitive correlates of dyscalculia and discussed the characteristics of individuals who suffer from maths anxiety. On the latter topic, he suggested that maths ability doesn’t always correlate with anxiety; some individuals with strong maths skills still experience maths anxiety. Dr Sinead Rhodes, University of Edinburgh, presented data which suggested that visual-spatial working memory was predictive of conceptual understanding of chemistry. Finally, Dr Michelle Ellefson, University of Cambridge, discussed her recent research which compares parent and child cognitive data between the UK and Hong Kong. Interestingly, her findings indicate that children from Hong Kong performed better on tests of executive function than children in the UK, but, parents performed at a similar level between the two countries. During lunch, 15 posters were presented on a range of topics including spatial cognition and maths and science reasoning and inhibitory control. The two winners of the poster prize were Marialivia Bernardi (academic achievement in children with typical and atypical motor coordination: the contribution of intellectual ability and executive functioning) and Eugenia Marin-Garcia (functional neuroimaging of the testing effect). The prizes were presented by Lia Commissar, project manager for the Wellcome Trust’s Neuroscience and Education project. The afternoon focused on neuroscience-informed interventions. Representatives of the Wellcome / Education Endowment Foundation funded intervention projects each presented a 15-minute summary of their progress and discussed any challenges they have experienced to date. This was then followed by a lively and thought-provoking panel discussion involving the project representatives, chaired by Professor Gaia Scerif. Delegates had been invited during the day to submit their questions, which were addressed by the panel and the audience. A common theme was discussing ways in which teachers and researchers could better connect; for example, in terms of teachers being able to access research findings. Professor Courtenay Norbury suggested that becoming a school governor has been an excellent way for her to get more closely involved in schools. Overall, we were thrilled by the response to day both in terms of the excellent feedback we received and the number of people showing interest in the workshop. Because we had nearly 100 people on the waiting list for places who we were unable to invite, we decided to film the event and will making this available shortly. Watch this space. 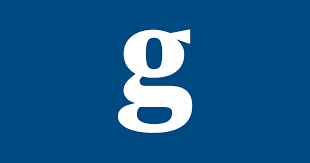 See the original letter, the accompanying Guardian article, and CEN’s neuro-hit or neuro-myth resource. Is ADHD on the rise? Given that the disorder is associated with poor academic outcomes, long-term mental health issues and low employability, Attention Deficit Hyperactivity Disorder (ADHD) is a matter of serious concern for parents and teachers alike. 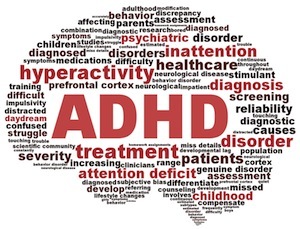 ADHD seems to be something of a buzz-word in the press: recently we were told that being overweight, taking paracetamol or having a diet high in fat and sugar during pregnancy all increase the risk of your child developing ADHD. Food additives, fizzy drinks, and video game playing have all been claimed to contribute to the inexorable rise in ADHD rates in children. But are prevalence rates of ADHD really on the rise in the UK? The CEN Neurohit-Neuromyth Team investigates.